Place in a saucepan rice, barley, water, cinnamon sticks and cloves. Cook on medium to medium high heat for about 20 minutes or until rice is tender. Remove from heat. Let cool, remove cinnamon and cloves; pour rice mixture in blender. Blend; slowly stir in milk. Blend until smooth. If desired stir in more milk or water until it has the desired consistency. Strain; add the vanilla and the sugar. Refrigerate for 15 minutes or until well chilled. Serve with ice in individual glasses and sprinkle with nutmeg or cinnamon powder. You can make this recipe with almond, coconut, rice or soy milk. You can also sweeten it with condensed milk, instead of regular sugar or with a no-calorie sweetener, if you want to consume fewer calories. Be sure to serve it very cold, so it slides down your throat. If you wish, you can cut up several nuts or almonds and sprinkle them over the drink before serving it. As a little girl, I used to go on beach vacations with my grandmother and we would stay at her friend Soledad’s guest house. Doña Sole, as we affectionately called her, always welcomed us with a refreshing rice drink called resbaladera, which is prepared in much the same way as horchata. Resbaladera is a traditional beverage of the northern region of Costa Rica and was given that name for its sort of creamy texture (similar to that of atole), because if you drink it while it’s very cold, it slides down your throat. It’s very refreshing, a wonderful thirst quencher on a hot day. 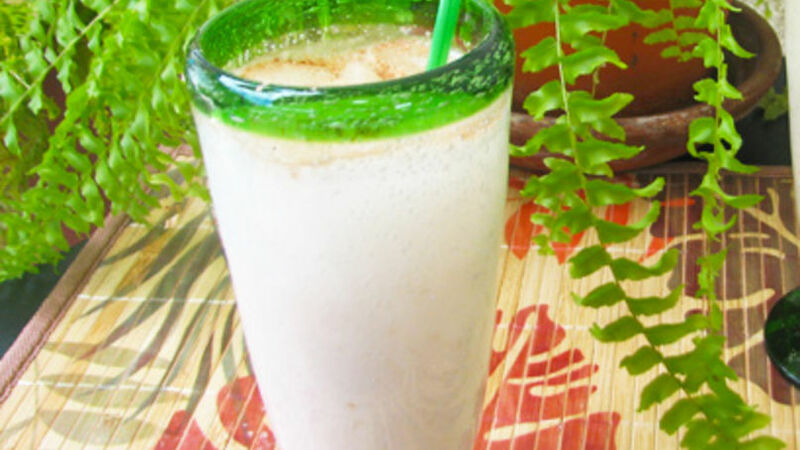 Many people may confuse resbaladera with horchata, but the difference is that resbaladera contains barley, in addition to rice. Also, although both have just about the same ingredients, they have very different tastes. Resbaladera is very easy to make. I hope you like it! It’s perfect with lunch or when you simply want to quench your thirst.